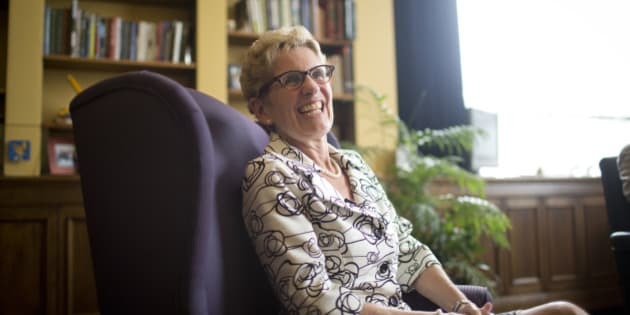 The Ontario premier was acknowledged for her role in politics as the province's first female to have the role, and as the first “openly gay head of government.” Other politicians on the list include Burmese Nobel Peace Prize winner Aung San Suu Kyi and President Joyce Banda of Malawi. Halifax’s Ellen Page is the only other Canadian who also made the longlist. The actor came out earlier this year in a Human Rights Campaign's conference speech. In May, Wynne opened up about her sexuality in an interview with the Toronto Star. She praised the comfort that the Charter of Rights and Freedoms brings to her and her partner Jane Rounthwaite. “Jane and I can live without fear because of the values that we all share,” she said. It isn’t the first time the Canadian politician has attracted recognition as a political role model and trailblazer. “Star Trek” actor George Takei praised Wynne’s victory after she was elected premier with a majority government in June. Her sexuality was widely considered a “non issue” to Ontario voters.